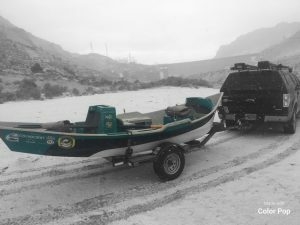 Bighorn River Fishing Report: Thermopolis, Wyoming; The Bighorn River water flows have recently bumped up to 3000 CFS in anticipation of spring runoff. There is only about 977 CFS flowing into Boysen Reservoir, so the Bureau of Reclamation is planning ahead. With not as much snowpack this year, the Bighorn River should not see the high water flows that we have seen in the past couple of seasons. We will see what the rest of spring brings too. We will keep you posted on any crazy weather or conditions that could pop up. This weekend brought the first real blue wing olive hatch for the season. 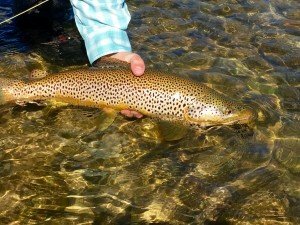 The dry fly fishing was the most productive with trout feeding on the surface actively. It is always a hoot to be fishing smaller dry flies so early in the season and there should only be more of the blue wing bite to come. Hot flies: annelids, eggs, midges, and blue wing olives. To see the most current Wind River/Bighorn River water flows click HERE. 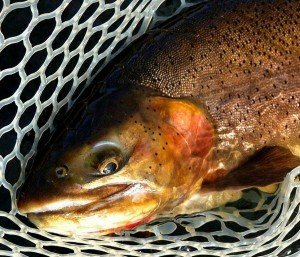 Bighorn River Fishing Report: Thermopolis, Wyoming: No Spring Flush this year on the Bighorn River according to the Chief of Water Operations. Typically, every March the Bureau of Reclamation will conduct a spring flush to wash out sediment and debris from the river to help with spawning and trout habitat. However, due to the high water we have seen this last year and through the winter there is not a need to have a spring flush. River flows are projected to increase to 2000 CFS in the next few days and will probably reach 3000 CFS by the end of the month. River flows from then on will be highly dependent on what spring will bring with moisture and melt. 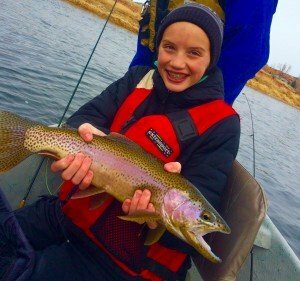 Bighorn River Fishing Report February 2018: The fishing in Thermopolis, Wyoming on the Bighorn River is slow right now with not a lot of fish to the boat. The fish we are catching are nice and nothing beats a day on the river in February. Here is a quick little Bighorn River Fishing Report video from yesterday. Hope you enjoy! To see current water flows from Boysen Dam on the Wind River and Bighorn River click HERE. 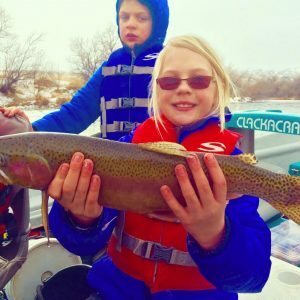 Bighorn River Fishing Report Wyoming: WARNING! Ice dam blocking the river at the railroad trestle between Wedding of Waters and 8th Street bridge. There is currently no way to get a boat over or through the dam at this point. Floating ice from 8th Street to Hot Springs State Park Rainbow Terraces and complete ice over north of Thermopolis. Temperatures have gone from negative digits and are slowly climbing. Temperatures are supposed to climb into the 40’s this week. The ice dam should break up in those digits by this week. We will keep you posted as soon as it opens up. Today we floated the river and had a wonderful day cast and blasting. The fly fishing and the waterfowl hunting were absolutely superb. We were able to take our boat out on private property above the ice dam enabling us to float the upper Bighorn. A huge thank you to the landowners! We boated several nice rainbows and a couple of cutthroats today and two birds in the boat. Key flies right now are midges, baetis, worms, and sowbugs. It is 2017 so don’t forget to AIS boat sticker when floating on Wyoming waters. 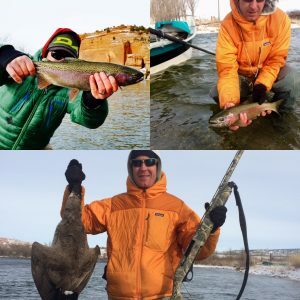 Bighorn River Thermopolis, Wyoming Winter Fishing Special: $350 guided fly fishing for one angler or two! Join Dunoir Fishing Adventures’ guides today! Winter fly fishing on the Bighorn can be absolutely lights out. Our guides love fishing during the winter season and the fishing will help you forget about the cold. Our guests can enjoy a soak in Hot Springs State Park after a great day on the river. Winter fly selection: sow bugs, annelids, midges, and on the right day a dry fly is money. Think midges and blue wings. Keep posted for much more info from the Bighorn River, Green River, and Wind River in Wyoming. Our guide service can provide lodging on the Bighorn River and prime mountain lodging in Dubois, Wyoming. Give us a call and we can help with lodging recommendations. If we cannot accommodate you on one of our properties, we can help with local recommendations. 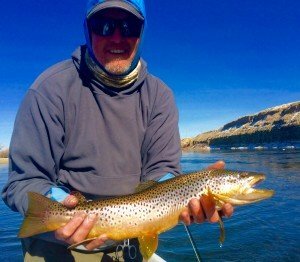 Bighorn River Wyoming Fishing Report: Guide Todd Helms has been hitting the Bighorn everyday this week. Fly fishing since the spring flush has really improved. Big brown and cutthroat trout have been poking their heads up and feeding on hatches, making the dry fly fishing outstanding. The Wind River basin received a record amount of precipitation for the month of March. This will all trickle into the the Bighorn River and only help fishing conditions for this summer. Keep posted for more Bighorn River Reports to come later this week. To see more photos check out our Facebook Page. Bighorn River Wyoming Spring Flush: The Bureau of Reclamation; Boysen Dam is tentatively planning on a spring flush March 21-22, 2016 on the Wind/Bighorn River. We will keep readers posted should these dates change, so keep posted. We are happy to see that the river will be flushed and can help clean up the river and spawning beds. Rainbows are currently spawning. 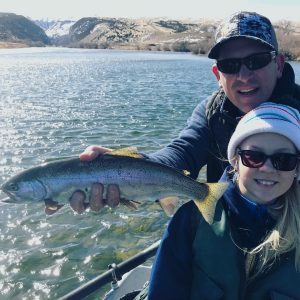 Bighorn River Fishing Report: The fishing was good this weekend, but the strong winds definitely played a role in drifting and catching. When the wind wasn’t blowin’, the trout were biting! Rainbow trout are spawning and actively on their redds. We kindly ask anglers fishing the Bighorn right now to please not fish to these spawning beds, but fish below in deep water. Definitely do not walk on them. Successful flies: annelids, midges, and sow bug. Keep posted for more reports to come! 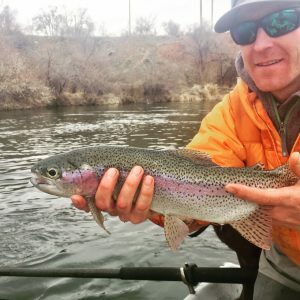 Bighorn River Fishing Report Thermopolis, Wyoming: Dunoir Fishing Adventures’ guide, Jeramie, fished the Bighorn River yesterday. The fly fishing was great and the weather very cooperative for January fishing. The river is free of ice and boat ramps are not too slick. Trout are holding in deeper slower water with annelids and sow bugs being the ticket. There was about a half an hour of a blue wing olive hatch and a few heads poking up giving opportunity for dry fly fishing. 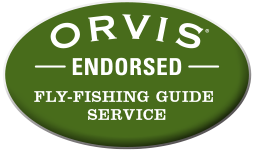 Dunoir Fishing Adventures will be guiding several days this week, so keep posted for more fishing reports to come. 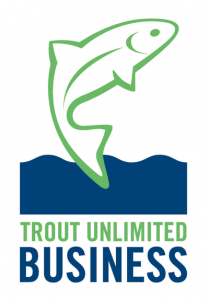 We are currently offering discounted drift boat fishing trips for $400, one angler or two. Give us a call or shoot us an email for more details. For more photos of yesterday’s trip check out our Bighorn River Facebook Page.